Named after the book, not the movie (which is pretty strange just the same), The Devil Wears Prada specialize in raging, Underoath-inspired Christian metalcore laced with mosh-pit beat-downs and lung-choking screams and howls. Featuring two lead vocalists, Mike Hranica and Jeremy DePoyster, the sextet came together in Dayton, Ohio, in 2005. 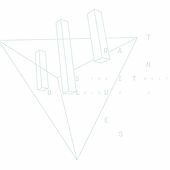 After releasing a demo titled Patterns of a Horizon, the band dropped its debut, 2006's Dear Love: A Beautiful Discord. It contained re-recordings of every track found on the demo, plus three new compositions: "Texas Is South," "Dogs Can Grow Beards All Over" and "Salvation." 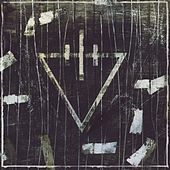 The Devil Wears Prada soon became one of metalcore's hotter acts, with appearances at several festivals and package tours, including Warped. After their sophomore album, Plagues, the group signed with Ferret Music. Featuring a far more ambitious (as well as polished) sound, The Devil Wears Prada's third full-length, With Roots Above and Branches Below, climbed to No. 11 on the Billboard 200. As with many modern rockers, several of the band's tracks appear on both the Guitar Hero and Rock Band franchises.